He had been running from pillar to post to prove his citizenship and was under acute mental trauma after being served with repeated notice” alleged the mother of Das , who is survived by his mother, wife and a child. Ever since Das’s death, a subtle anxiety has gripped the town of Kalaigaon, a two hour’s drive from state capital Guwahati. Some local community members have also hinted that anti-Bengali sentiments have flared up, and Das’s suicide is an example of how arbritariliy Bengali Hindu names being excluded from the NRC. They feel this is a deliberate attempt to brand Bengali Hindu names as ‘declared foreigner’ in an arbitrary fashion by NRC authorities. The death of the sole bread winner of the family has sparked a flurry of visits almost from all quarters, including student organizations All BTC Bengali Youth Students Federation(ABBYSF),All Assam Bengali Youth Students Federation(AABYSF) and the media persons.But the family, according to community members, still awaits a visit from Member of Parliament from Mangaldai Lok Sabha,Ramen Deka who hardly manages time to visit the bereaved family members of such unfortunate incidents. Adviser of the All BTC Bengali Youth Students Federation(ABBYSF),Shyamal Sarkar alleged that the NRC updation process and D-voter notices have been a nightmare for many genuine citizens of state mostly genuine Hindu Citizens. He further alleged that the state government has adopted political conspiracy against the Bengali Hindus and saffron party’s committment to grant citizenship to Bengali Hindus is just for vote bank politics. “If the BJP was genuinely concerned for passing the Citizenship Amendment Bill 2016 they could have brought the law promulgating ordinance by the President .” said Sarkar. The CAB is just a political gimmick to woo the Bengali Hindus and garner their votes he maintained. He also echoed the views of the locals that Mangaldai Lok Sabha MP and veteran BJP leader Ramen Deka have never ever visited the bereaved family members of NRC related suicides in Udalguri and people are ready to oust him if Deka contests the forthcoming Parliamentary polls from BJP. “Earlier it was ,Dipak Debnath(49) an inhibitant of Ulubari(Ghagra) village under Harisinga PS in Udalguri district of Assam who committed suicide by hanging self in the wee hours on October 28,2018.Similarly Gopal Das(65)purportedly under pressure to prove himself an Indian citizen and fearing of being excluded in NRC committed suicide at Nislamari village under Tangla PS in Udalguri district on June 13. 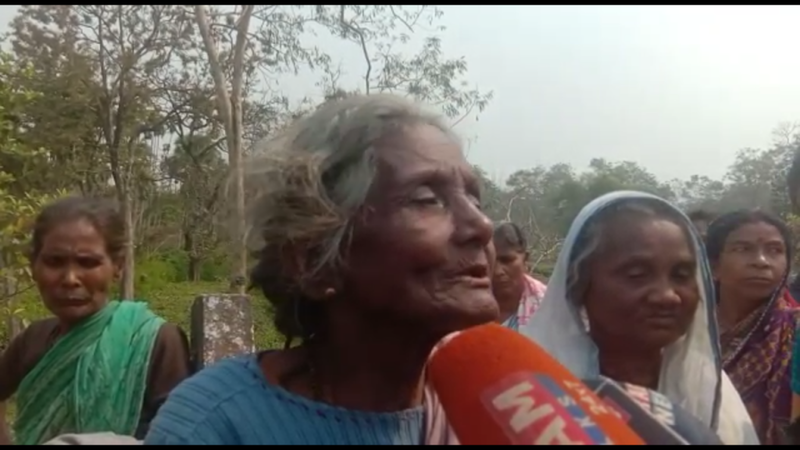 Another include Bimal Chandra Ghosh(59) a resident of Karimchowk area of Mangaldai in Darrang district of Assam who was working as an assistant teacher at Tangla Model High School allegedly committed suicide due to acute mental trauma of being excluded in NRC. “Every developing nation has policies regarding detection and deportation of illegal immigrants and grant of citizenship.” Expressing concern over the plight of doubtful citizens Sharma said, ” The government should draft policies for rehabilation of illegal immigrants and grant them special status for working and living as a dignified human as even their human rights can’t be violated by making them languish in detention camps.Pertinently,The NRC is a register containing names of all genuine Indian citizens residing in Assam.The update process of NRC started in the year 2013 under the strict monitoring of the Supreme Court of India. The Supreme Court has set July 31st, 2019 as the deadline for the publication of the NRC. On the midnight of December 31st, 2017, Part Draft NRC was released and subsequently on July 30th, 2018, the Complete Draft NRC was released. 2,89, 83,677 persons were found eligible out of 3,29,91,384 applicants in the final draft of the NRC. Of these, 37,59,630 names have been rejected and the remaining 2,48,077 are on hold.